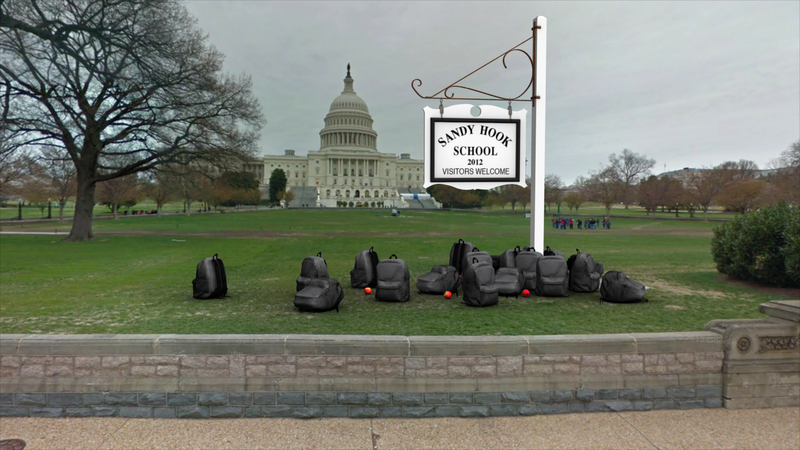 Can Washington Solve the School Shootings Problem in US? School shootings in the United States is not new; the earliest recorded shooting occurred in the late 18th century; July 26, 1764 was the Pontiac’s Rebellion school massacre where four Amerindians (American Indians) entered the schoolhouse, shot the headmaster (Enoch Brown) and nine children. Dead school children bodies, due to firearm violence, have been flowing through the American School hallways, classrooms and yards ever since. After that tragedy – and a long period of mourning- its nonsensicality became more and more obvious as details about the perpetrators and their environments were revealed. Reeling from that new tragedy that sparked a controversial debate over gun control, the country –except for a few nuts- was united behind the proposition for stricter gun control laws. Coming to the rescue of the few “gun nuts lobbyists” however were the Congressmen & the Senators we’ve elected to represent our interests in Washington. Any average minded individual would agree that better gun control law is needed; any logical elected official would have found it easy to support appropriate policy or legislation. It was not so with the Congressmen and Senators we have been re-electing blindly. Instead, they found it appropriate to rally behind the “gun lobbyists” and prevent any gun legislation from even being voted on. Yep! Those are the people we’ve elected to represent our interests in Washington. How stupid can we be? As if nothing had happened, we went about our business, religiously supporting the same Representatives who have failed us. On April 16, 2007, Virginia Tech massacre happened. 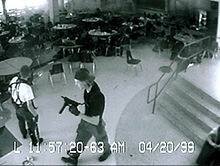 It was the deadliest school shooting in U.S. history. Seung-Hui Cho, the gunman, was a senior at Virginia Tech, a public university in Blacksburg, Virginia. Born in South Korea in 1984, Cho became a US resident in 1992. For unknown reason, in March 2007, Cho purchased a Glock pistol and 50 rounds of ammunition from Roanoke Firearms for $571.The following month, in April 2007, Cho gunned down 32 students before killing himself. It’s the massacre which prompted VA to close loopholes that allowed individuals like Cho to buy firearms; it’s that massacre that prompted the passage of the first major federal gun control measure – Bush Signed Law to Keep Firearms From People With Mental Illness – in more than 13 years. By then, an estimated 81 people died each day due to gun violence or accident according to an April 21, 2007 article in the NY Times (An Accounting of Daily Gun Deaths). The “closing of loopholes”, the passage of “federal gun control measure” are simply lip service; the elected officials see no incentive to act in our interests. The Gun Lobbyists finance their campaigns; the officials rely on your ignorance, your disinterest and your disengagement from politics to continue to deny you the service for which you’ve elected them. Case in point, five years after the Virginia Tech massacre, the National Instant Criminal Background Check System (NICS) Improvement Act signed by then President George W. Bush was supposed to fix the problem of guns in the hands of mentally ill individuals. Congress authorized $875 million dollars to help states overhaul their computer systems toward that end. As of April 16, 2012, a mere $50 million dollars was appropriated by Congress. Clearly, your safety and your children’s are not Congress’ priority. They make no apology about it. Five years after the Virginia Tech Massacre, on December 14, 2012, Sandy Hook Elementary School in Newton, Connecticut became the site of another mass shooting. A lone, deranged gunman, 20-year-old Adam Lanza gunned down 20 children and 6 adult staff members before turning the gun on himself. As expected, the Gun Lobbyists were quick to stand against any legislation that would place stricter gun regulations. The Congressmen & the Senators we’ve elected to do what’s right by the People went along with the Lobbyists and have worked tirelessly to block any proposition of further gun regulations. As such, the Manchin-Toomey Gun Proposal that would have required background checks on all commercial gun sales – including at gun shows and over the internet – was easily defeated. Once again, your State Representatives (Congress & the Senate) gave the country “the finger” over an issue that is killing our youngsters. Contrary to what your Representatives may want you to believe, their opposition to gun restriction law or background checks is NOT about protecting your constitutional rights; it has never been. It’s always about protecting the institutions and the individuals who finance their campaigns. Deaths (of our children), Casualties in mass shootings such as the examples cited above are part of their calculations, and they are OK with that. Their opposition to gun legislation guarantees their jobs in Washington. Some of them have been in Washington for almost half-century; the average tenure of the Representatives who refuse to represent our interests in Washington is 35 years. At any cost – including massacre such as the Sandy Hook Elementary School – they vow to stay in Washington. If history is of any guide, the country should brace itself for another such tragedy between 2017 and 2019. What can possibly be done? Is all Hope Lost? Watch this column; we will take a look at what other countries are doing and how to incentivize Congress to represent our interests. In the meantime, let us know about your experience and what you’d like to see in Washington. Your are incorrect. The U.S wasn’t “the U.S until 1776. It was not U.S soil at the time. Second, the school massacre in Bsth, Mi in 1927 was the worst school massacre in U.S history to date with 43 deaths (I didn’t include the killer, as they did at the time) including 38 which were students.